Hygrolife HME's offer low dead space and low airflow resistance while providing superior moisture output. The Hygrolife media is calcium chloride treated which greatly improves effectiveness. Lightweight, with only 3ml of dead space. Provided sterile with end tidal CO2 port. Flex life is hygroscopic Heat and Moisture Exchanger that has a built-in flex tube. It is compact and easy to maneuver. Flex life features a low resistance to flow and an excellent moisture output. Extends patient Circuitry away from the face. 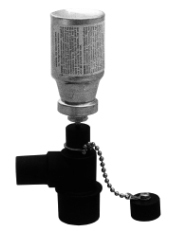 For use with metered dose canisters. For inline bronchodilation, port will accept canister and cap. 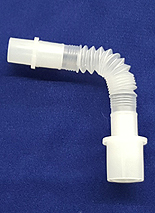 Medicomp metered dose straight swivel adapter fits between the breathing circuit and the endotracheal tube. 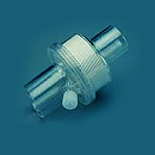 Capped port permits easy attachment of metered dose canisters without detaching the patient circuitry.